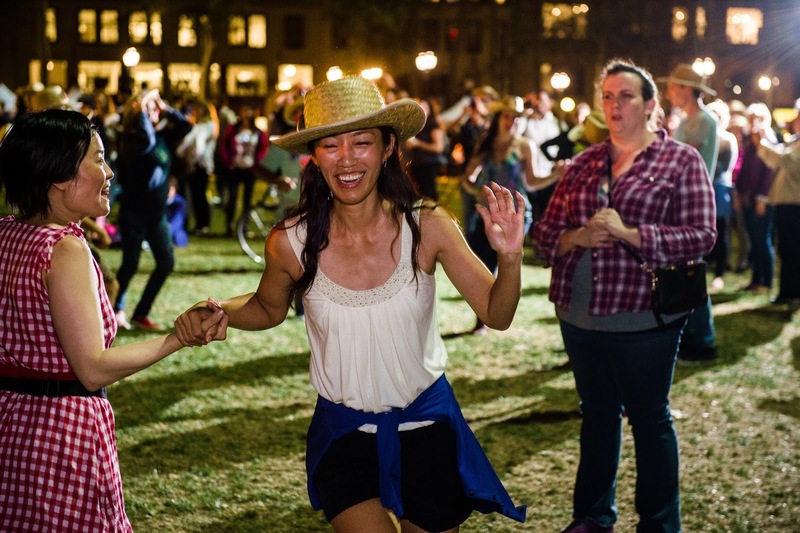 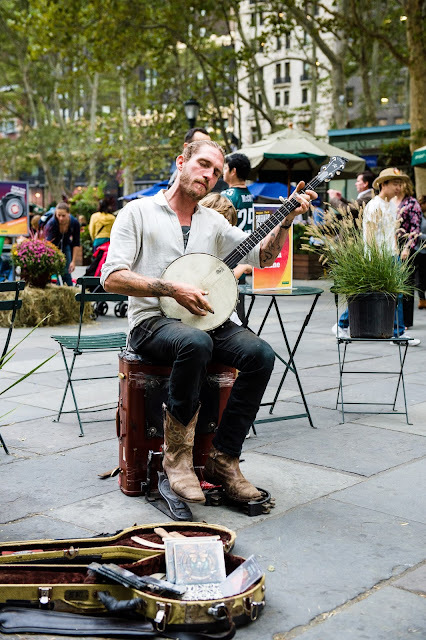 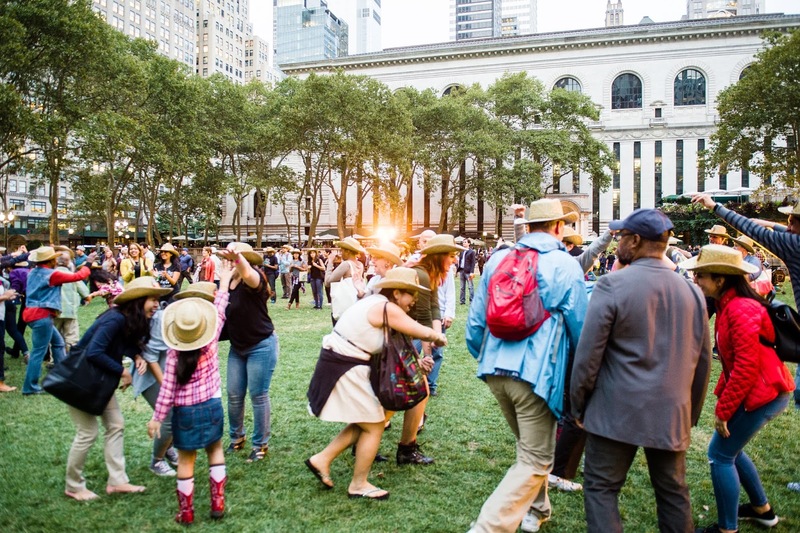 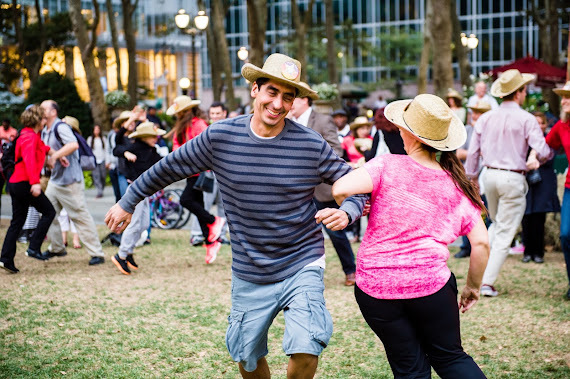 Last month, Bryant Park celebrated its Fourth Annual Square Dance, featuring three consecutive days of square dancing, live music, a mechanical bull, food and drink, and more. We lasso-ed up some of our favorite photo memories of the weekend. 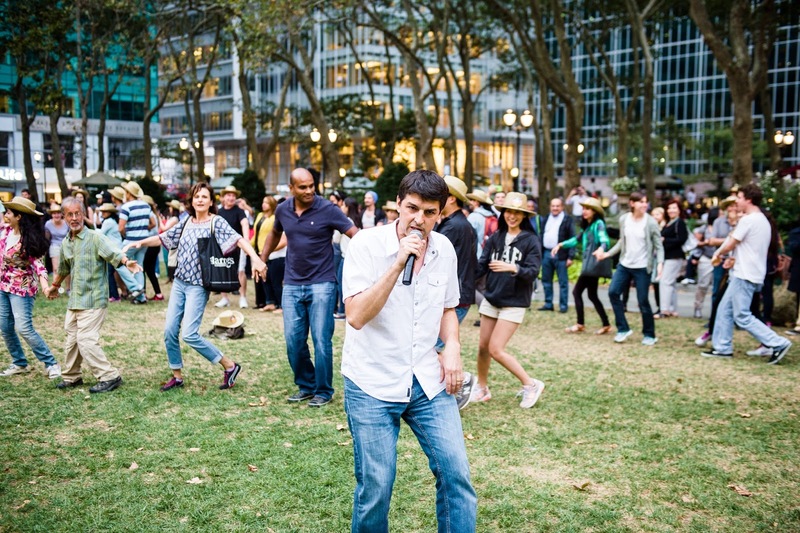 Browse the photos below to relive the fun! Photos are by Jusay Photography. Dave Harvey of NYC Barn Dance called the moves all weekend. 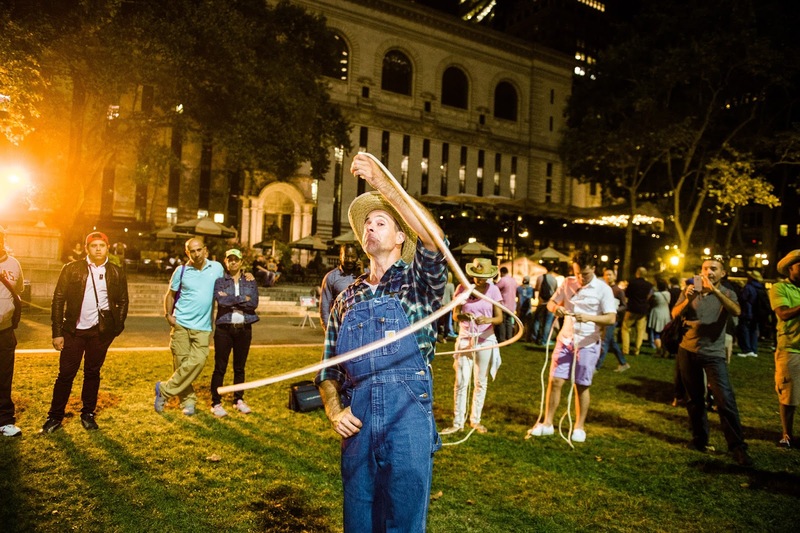 Swing your pardner round and round! 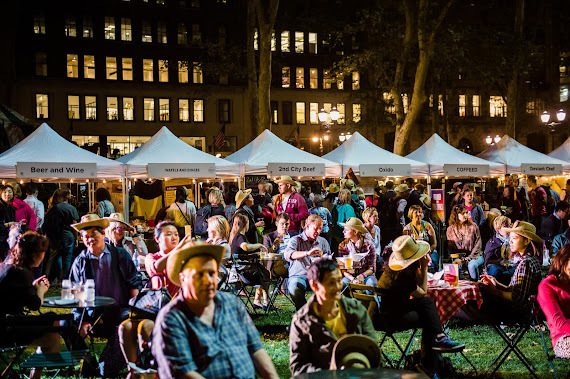 ...and food was finger-lickin' good! 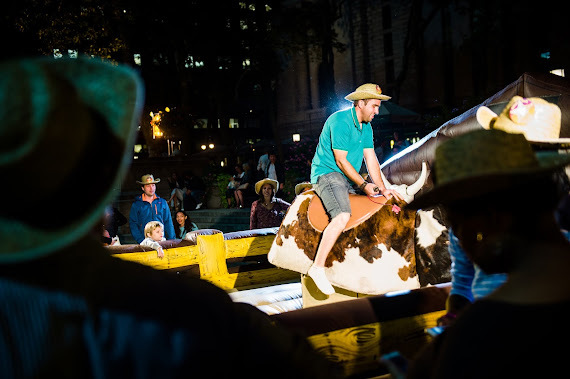 The mechanical bull was a worthy adversary to all comers. Night fell and the energy remained high. 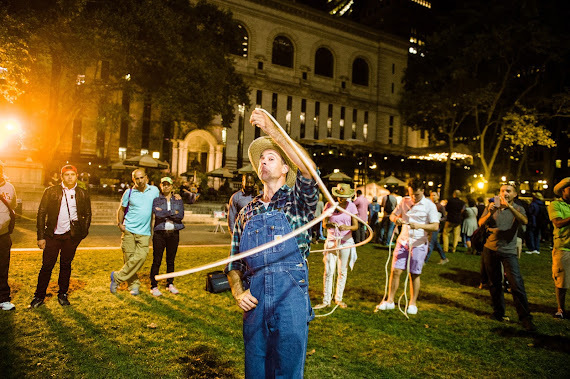 Harold the trick roper gets caught up in the fun!